The Nintendo Account website got a minor facelift and some new features today in preparation for the launch of the Nintendo Switch next week. Generally, the website looks a lot cleaner now with less settings and features stuck together in one category. Account Activity: See a list of purchases associated with your account. If you linked your NNID with your Nintendo Account, your digital 3DS and Wii U games will show up here. Friend Suggestions: This feature lets you connect with friends across multiple Nintendo Account linked services by providing friend recommendations in one service based on your existing friends in another service. This currently only works with Nintendo’s mobile games, but not with the Wii U and 3DS. Two new missions, i.e. new ways to earn points have been added to My Nintendo today. To complete the missions, your Nintendo Account need to be set to receive promotional e-mails from Nintendo. Doing so gets you a one-time reward of 30 Platinum Points. Keeping the setting gets you an additional 10 Platinum Points each month. Nintendo president Tatsumi Kimishima was hesitant to share stats pertaining to Miitomo during the company’s investors briefing last week. However, he did reveal that the app had “a slightly higher ratio of women at the beginning,” and noted that the revenue impact “is negligible for the fiscal year ended 2016” since it’s just starting out. He expects that in-app revenue is in line with expectations. 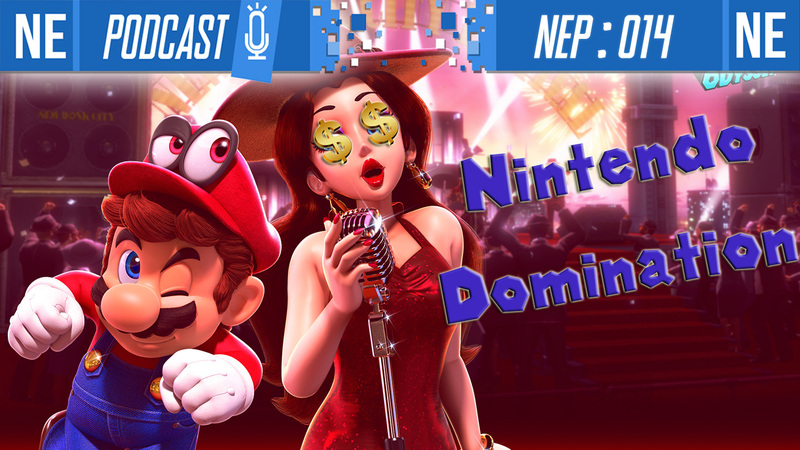 Kimishima went on to talk about in-app purchases on mobile as well as Nintendo Accounts (plus My Nintendo). You can read up on his full comments below. I heard that there are over 10 million Miitomo users worldwide. I would like to know the attributes of those users, the number of DAUs (daily active users), as well as how much Miitomo is contributing to earnings. Have there already been positive effects on existing business from its connection with the Nintendo Account system? For applications to be released in the future, are you going to increase the game element and seek to increase revenue from in-app purchases? The over 10 million users are very balanced in terms of gender. There was a slightly higher ratio of women at the beginning. We will not be releasing statistical data such as DAU numbers. As you are well aware, all kinds of ranking information exists for smart device applications, so I will refer you to those. If you look at them and estimate the in-app purchase revenue, I think it will not be too far off from reality. 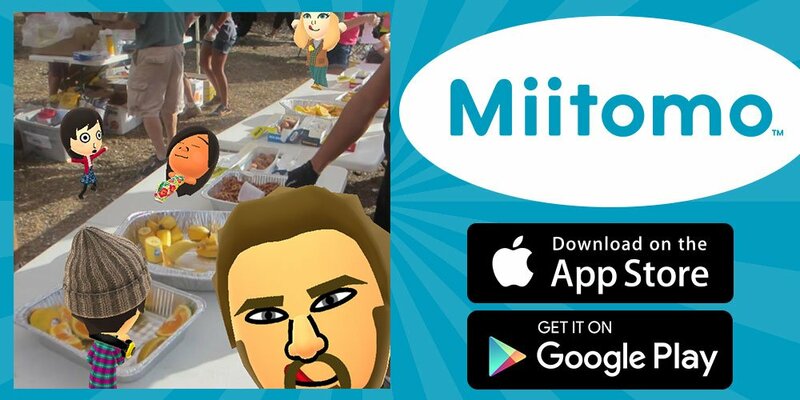 The revenue impact of Miitomo is negligible for the fiscal year ended 2016, as we have only just started. The Miitomo download numbers are growing right now, so I think the in-app purchase revenue is also growing more or less as expected. It’s an entirely possible to delete a Nintendo Account. Doing so will result in the major loss of information, however. 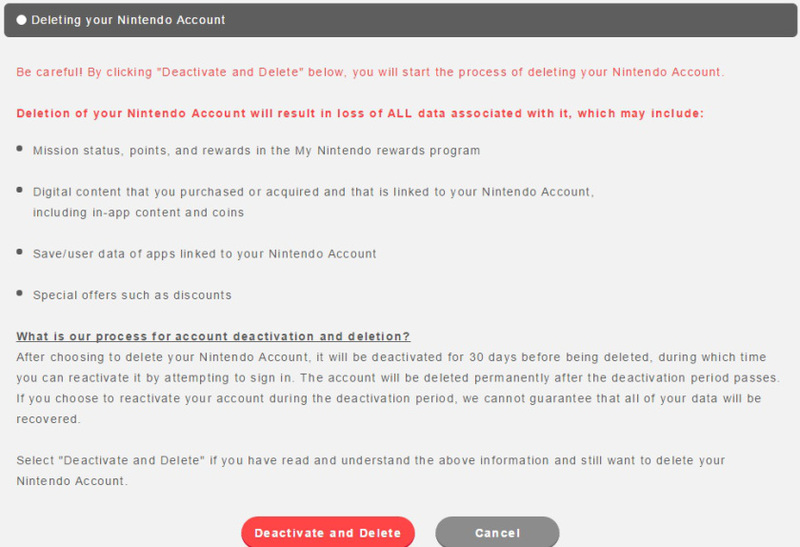 When attempting to ditch a Nintendo Account, Nintendo warns users that they’ll lose a whole bunch of data. This includes your “mission status”, points, and rewards with My Nintendo, digital content purchased/required that is linked to your Nintendo Account, save/user data of apps linked, and special offers. 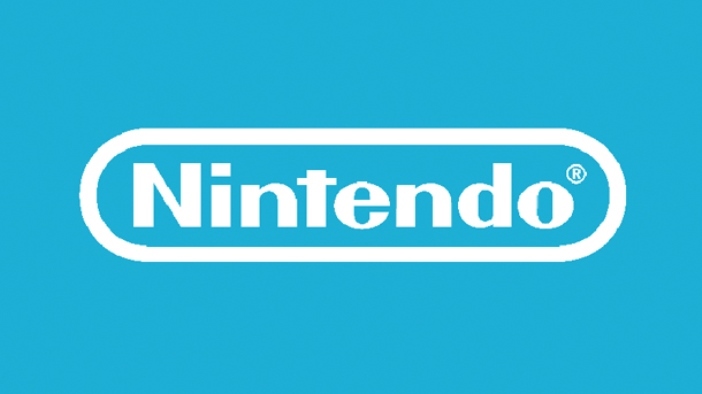 You can find more support information regarding Nintendo Accounts here. It’s now possible to register for a Nintendo Account. This functionality was previously made available in Japan towards the very end of 2015, but has now opened for gamers around the world. Simply visit the link here. You can then sign up with your Nintendo Network ID, Facebook, Google Plus, or Twitter login. Alternatively, it’s possible to make a Nintendo Account entirely from scratch. 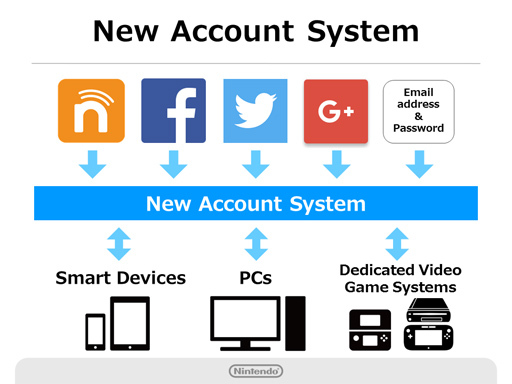 Nintendo Account is, as the name implies, Nintendo’s new, unified account system. Announced for early this year in the West, the program had somewhat of a surprise launch in Japan in December. Personalized discounts were one of Nintendo Account’s announced features – however, so far users with Japanese accounts were only able to take advantage of global discounts, not much different to sales on the eShop. However, that is changing with a new feature coming this month. Users who link their Nintendo Network ID to their Nintendo Account before the 24th of their respective birthday month and opt in to receive promotional e-mails from Nintendo will receive special discounts on the 24th of their birthday month. This means that we should learn what this month’s discounts are on January 24th. Right now we don’t know if birthday month discounts will also be available to European and North American users once Nintendo Account launches there. Nintendo is likely to share more details on the system’s Western launch in the coming weeks. 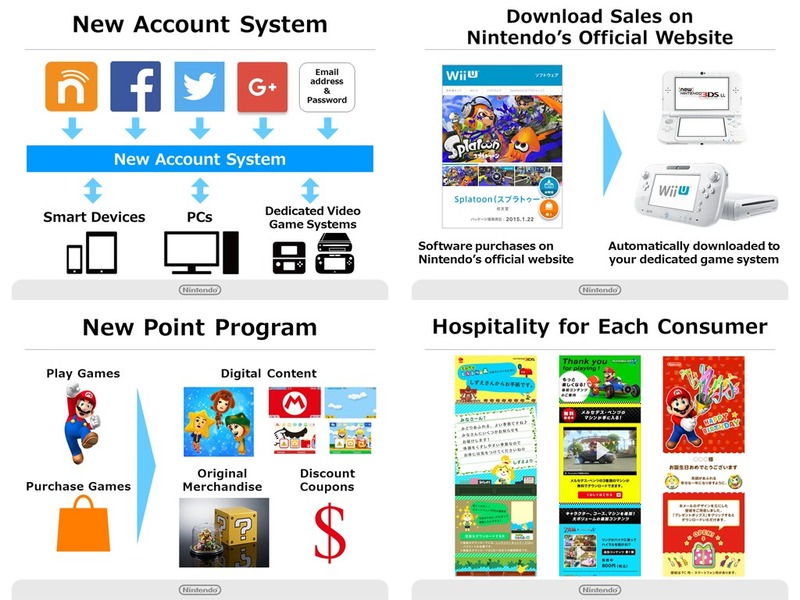 The Nintendo Account system saw its initial debut in Japan this week. As for the rest of the world, it looks like we’ll need to wait until next year. 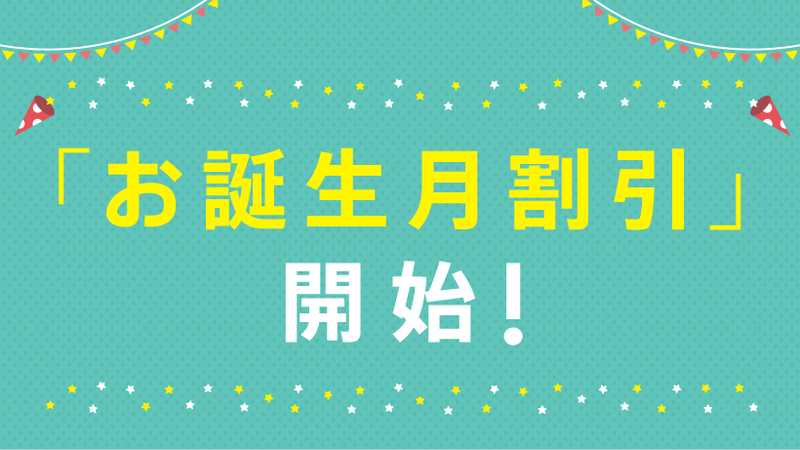 In Japan, Nintendo’s new all-encompassing account feature, Nintendo Account, is now live. You can sign up for it here. As promised, you can register using your existing Nintendo Network ID or your various social media accounts such as Facebook and Twitter. European, Australian or North American NNIDs won’t work though – looks like we have to wait until the service officially launches in the West. Note, however, that this is not My Nintendo, the successor to Club Nintendo. That is scheduled to launch next year. Until February 1st, there’s also a promotion where you get back 100 yen for every 1000 yen you spend on the Nintendo eShop. Finally, Nintendo also updated its official Japanese website. Other than its new visual design, you can now also buy games there and have them downloaded directly to your Wii U or 3DS. They also launched a new blog called Topics where announcements will be made.